Brock Dock and Patio works with the premier suppliers like Timbertech to ensure quality finished products for our customers. Reduce the wasteful cycle of repair and replacement and invest in a product that values the environment. Many of our planks are ideal next to your pool, spa, dock or marina. Replank with TimberTech to save time and money and reduce maintenance. 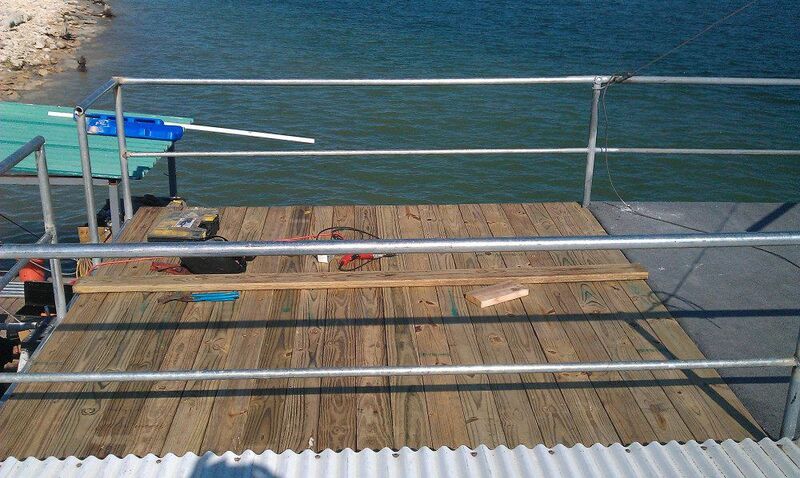 For decking and railing, many times we choose TimberTech composite decking and railing products. TimberTech adds beauty and value to homes, businesses, marinas, and resorts. What’s more, TimberTech is low maintenance, safe, and durable. TimberTech maintains its color and beauty for years without the work of annual painting or staining. And, because it resists mildew, warping and insects, there’s no need to replace rotting, uneven or termite-damaged boards. This saves time and money over the life of your deck. Caring for TimberTech is easier than wood and will allow you to focus on maximum enjoyment instead of maximum maintenance. TimberTech’s warranty offers 25-years of coverage that can even be transferred to a second homeowner – a great selling feature when you’re ready to relocate. So the first, and second, TimberTech product owners can have peace of mind that their outdoor oasis will look beautiful year after year. In addition to the already great warranty coverage, the Earthwood Evolutions product line is covered by a 25-year fade and stain warranty. For commercial applications, TimberTech also offers a 10-year limited warranty. TimberTech offers a complete line of low maintenance outdoor building products that are durable and made with high quality materials. BDP works with Timbertech to provice a product that offers a wide variety of color choices and styles, designed to fit your life and design preferences. From traditional wood-plastic composite planks to PVC decking material; from railing and lighting to under deck drainage systems and fastener-free installation options, TimberTech and BDP are your one-stop choice for outdoor living building products. TimberTech was the first alternative decking manufacturer to introduce a railing system with black as a color option; TimberTech was also the first alternative decking manufacturer to introduce a patented lighting system specifically created for its railing and fencing systems, providing the best fit and finished look. TimberTech not only adds value to your life, it helps to add value to your home. Remodeling Magazine’s 2009-2010 Cost vs. Value Report estimates a national average of 71% return on investment for composite deck additions*. This is a similar or better return on investment than projects such as bathroom addition, bathroom remodel and major kitchen remodel. To maximize your return, Realty Times suggests using a non-rectangle design, and making your deck an extension of your living space. *Based on a 16′ x 20′ deck set in simple linear pattern; using pressure-treated joists supported by 4×4 posts anchored to concrete piers; built-in bench and planter of the same decking material; stairs, assuming three steps to grade; complete railing using a matching system made of the same composite as the decking material.